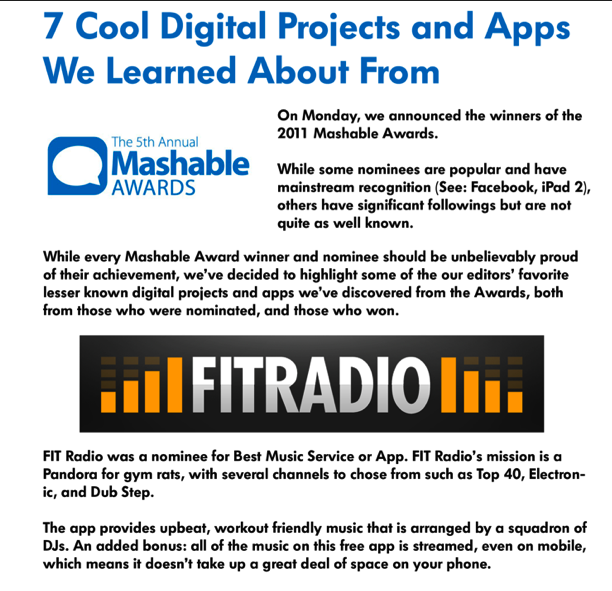 It has been a really big month for all of us here at FIT Radio. 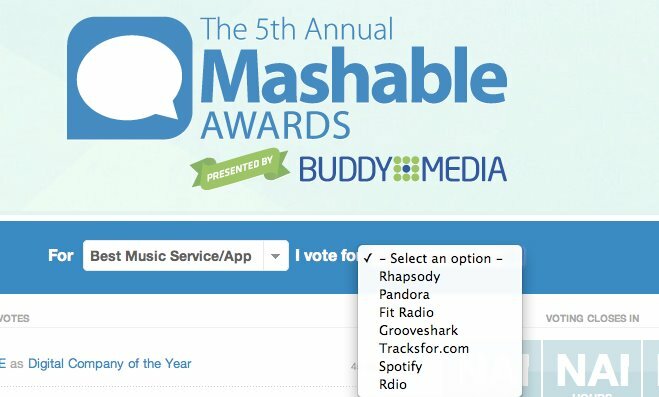 Along with being nominated in the Top 7 Best Music Service/Apps in the World by Mashable (right next to Pandora and Spotify), we’ve gotten mentioned in an article on Mashable and Yahoo News titled, “7 Cool Digital Projects and Apps We Learned About From the Mashable Awards“. Other than this and staying in touch with our users, we have all been working very hard to get our new Website launched!! 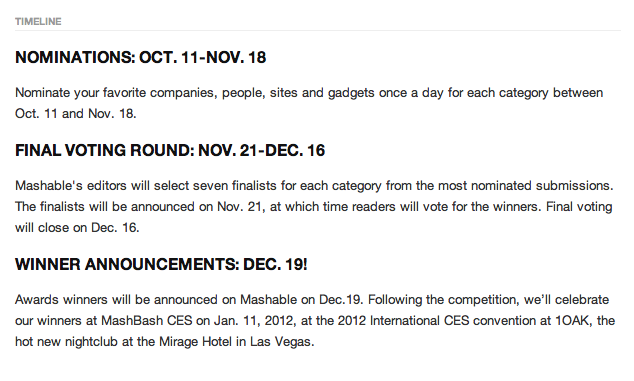 You can all look forward to a whole new design along with many new features. 🙂 Get excited!!! !